Many of our products are based on oat which contain beta-glucan fiber. Betaglucans have been found to reduce cholesterol levels. We try to stop using palm oil because of its negative social and nutritional effects. We have replaced it in most of our products by high oleic rapeseed oil which has significantly less saturated facy acids. We are producing Emco as well as private label products with bio and vegan certificates. We do not use artificial sweeteners but constantly decrease sugar levels in all our products. 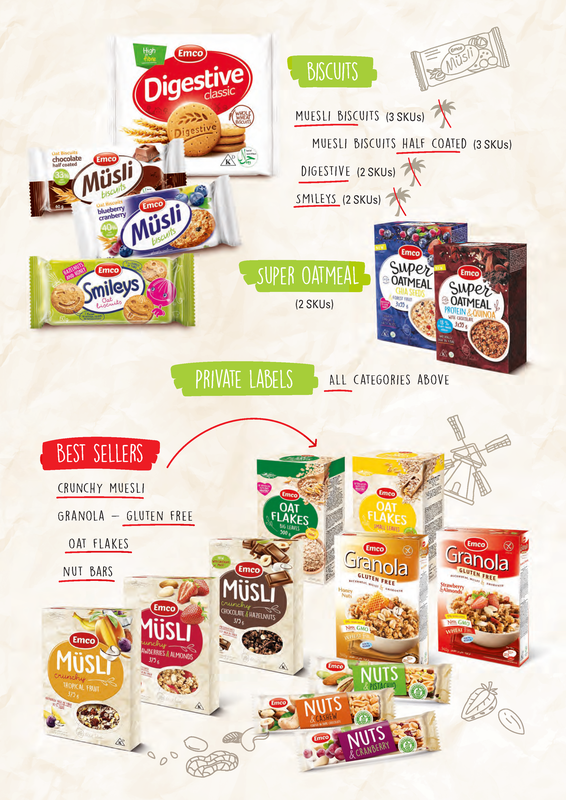 In most of the categories we have also „no added sugar products“.